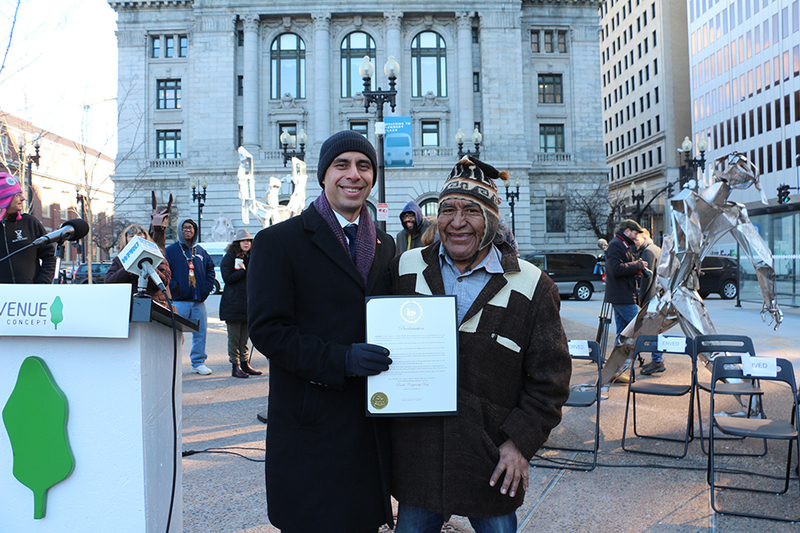 On February 5, 2018, The Department of Art, Culture + Tourism joined Mayor Jorge Elorza, The Avenue Concept, and RIPTA officials to celebrate a series of new temporary public sculptures installed on Kennedy Plaza by Peruko Ccopacatty. 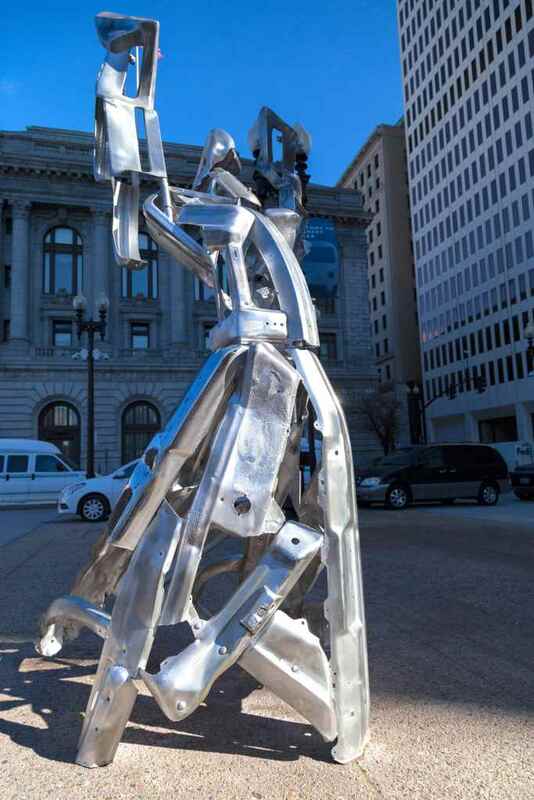 The four metal sculptures, on view through June 2018, are the first significant original public art works to be installed in the Plaza since the Soldiers and Sailors Monument in 1871 (the adjacent “Hiker” was a replica). A full series of figures created by Ccopacatty had originally been created 20 years ago for the plaza, but were never installed. The new installation features a 14’ angel fashioned from reused car bumpers, a 7’ man built from reclaimed stainless steel, and two 6’ llamas sculpted from scrap metal. Originally from an Andean village on the banks of Lake Titicaca, Ccopacatty is revered back home as an international ambassador for Aymara culture and created a nonprofit library/cultural center to document and preserve its art and traditions. The Avenue Concept nurtures and supports public art ecosystems. We do this by investing in permanent infrastructure, funding public art projects, documenting and promoting the work of artists, using art as a tool for education, and advocating for policies, processes and partnerships that develop sustainable avenues for public art. 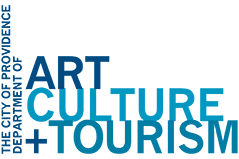 Our goal is to build an environment in which art thrives and create public art encounters that encourage people to engage and interact with art instead of passively observing it.